Nearly 11 years ago, the Slovenian capital of Ljubljana embarked on an ambitious sustainability project known as Vision 2025 with the goal of creating a clean, friendly and safe city. The city’s proactive green efforts as part of that plan included banning cars in Ljubljana’s historic city center, which has transformed the city’s congested streets into a walkway reserved for pedestrians and bicyclists and improved air quality, while also significantly reducing the noise level in the city. Additional measures in the Slovenian city have included increasing the number of electric vehicles in use, reducing noise pollution in the city center, urban beekeeping and creating more public parks. Also, notably, Ljubljana has even begun creating paper products out invasive plant species. For all of these reasons and more, the city has just been recognized with the 2019 European Smart Tourism Award (ESTA). Launched in April 2018, the European Capital of Smart Tourism Project is designed to recognize particularly innovative achievements in smart tourism in European cities. A fairytale-like city, filled with history and culture, Ljubljiana offers visitors a unique variety of activities and attractions ranging from sightseeing tours via paddleboards down the Lubianica River to learning about the rich Slovenian tradition of beekeeping on guided be trail tours. In keeping with the city’s sustainable theme, there are also eco-friendly hotels, such as the Park Hotel, which features a lush rooftop garden and a colony of Carniolan bees. As it turns out, the ESTA award is just the most recent in Ljubljana’s growing list of awards celebrating its green efforts. 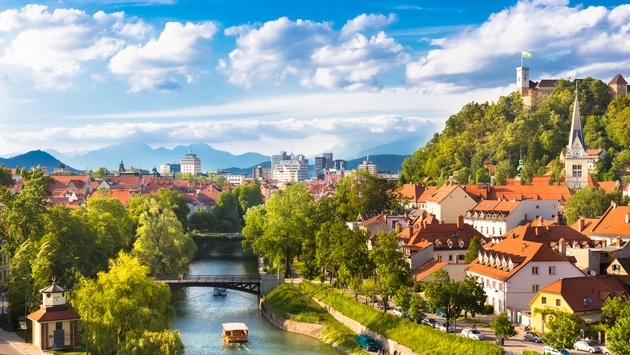 Green Destinations, a non-profit organization focused on sustainable tourism also recognized Ljubljana as one of the world’s top green cities in 2016. And in 2017, another award was bestowed on the city, this time a World Travel Market Responsible Tourism Award, which ranked the city as one of the leading sustainable destinations. Other awards have included two URBACT Good Practice recognitions, a National Geographic World Legacy Destination Leadership award the city was listed on Green Destination’s Top 100 Sustainable Destinations.